Fierce Beer is not for the faint hearted: the Aberdeen craft brewery experiments with strong, bold, in your face flavours, and delivers beer that packs a punch. 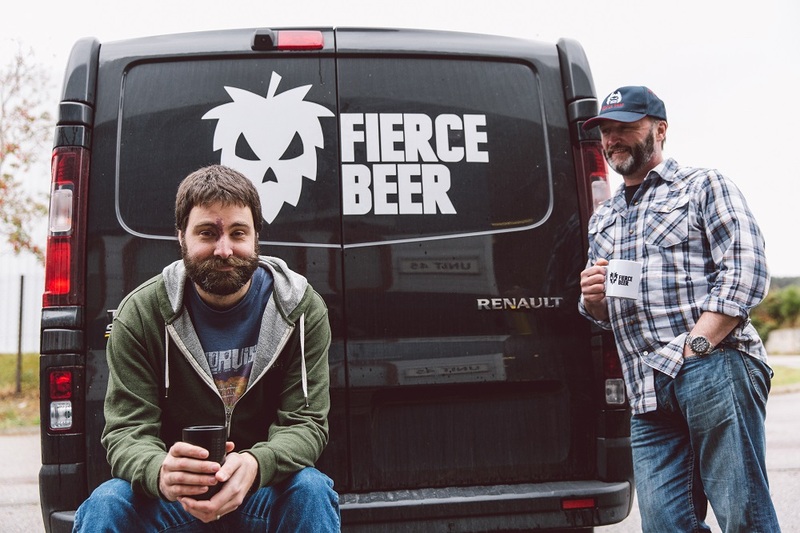 Set up by oil & gas industry veterans Dave Grant and David McHardy, the duo packed in the corporate world to follow their dream of opening a brewery that made weird and crazy beers. And it’s a gamble that’s paid off; they starting trading in April 2016 and the brewery has already doubled in capacity, exports worldwide, and has won a number of industry awards. We sat down with co- founder Dave Grant to learn more about his brewing journey and the importance of doing your market research, getting the right advice and creating a robust business plan. 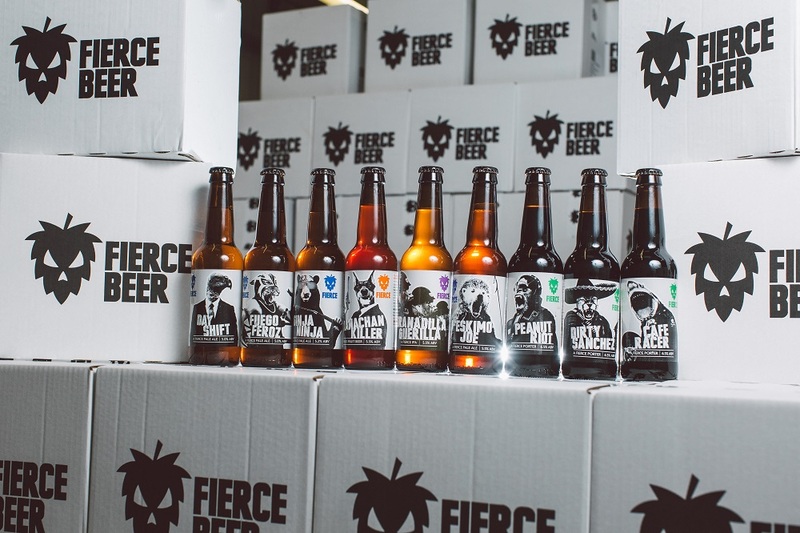 How did Fierce Beer get started? My business partner David Hardy and I were in oil & gas for nearly 20 years and fell out of love with it; the downturn didn’t help but we wanted to do something else. Independently we’d both researched opening up a brewery and met at a training course in Sunderland. The company registered in March 2015 but for the first year it was just me home brewing and testing the market with different beers. We started officially trading on the 1st April 2016. What was your original proposition and how did you plan to stand out from other breweries? The good thing about having a year playing around from home was that I spent a lot of time speaking to future clients and distributors and they all said the same thing; ‘we can’t look at another brewery who just do a lager, a pale ale and something quite dull’. So we started playing around with different flavours and making some really weird things. We also looked at trends in the market to see what was coming up, what the Americans were doing, and how we could stand out. The very first beer we brewed was a Ginger, Lemongrass and Habanero Pale Ale called Ginja Ninja so it wasn’t boring at all. We stood out by making different stuff. ‘The very first beer we brewed was a Ginger, Lemongrass and Habanero Pale Ale so it wasn’t boring at all. We stand out by making different stuff’. What’s your current range of beers and what’s the best seller? We try to bring out new things in every month but we currently have three hoppy beers, three fruit beers (two are sour), four dark beers and a bunch of seasonal ones. Even though I originally said that we’d never do anything as boring as a pale ale we did! It’s an American pale ale called Dayshift which is really fruity and really nice. However a beer that sells incredibly well, especially at festivals, is Cranachan Killer which is a raspberry oat ale. It’s a well-balanced pale ale with lots of oats and we add about 11% fresh raspberry juice from Castleton farms in Laurencekirk so there’s a nice provenance story to it too. The two sour beers we recently brought out are also selling well. The PH of a finished beer is usually around 3.8 but this is 3.1- 3.2 so it’s really puckering and really caught our imagination. So at the moment those are our best sellers by a country mile. It changes day to day but at the moment it’s a dark black IPA which we make almost like a stout; it’s got lots of black malt in it but we throw in a huge amount of hops so you get the benefits of the roasted darkness but also the fruit and pine. It’s called Nightshift and is awesome. What’s your current brewing kit and capacity? The Brewhouse itself is 10 barrels which can max out about 2000 litres. We started off with six fermenters which could produce 10 – 12,000 litres a month but it was immediately too small. The Brewhouse itself is fine, you just work it hard, but the fermenters held us up. So within four months we bought two bigger ones to bring capacity up to 18,000 litres a month, but we’re committed to buying more vessels so by 2018 we’ll produce a monthly 50,000 litres. When starting up did you consider outsourcing bottling? We were very clear we wanted to do everything in-house; it was a capital versus operational expenditure decision. We didn’t like a few things about outsourcing; the opex price per unit was very high and I’m a bit of control freak so don’t like sending my beer away and not knowing when or what I’m going to get back. We’re happy with our decision; I don’t think we’ve had a single bottle or keg sent back from anyone with a complaint; the quality has always been great. How did you get into exporting? I could be modest and say that we hunted customers down but it would be a total lie! People have come across Fierce Beer somewhere else, tasted it, liked what they’ve tried and said ‘right I’ve got to have that in my own country’. So the countries we export to so far have all been reactive sales. I’m really happy about that; it means when we start being more proactive it can go pretty big. Let’s talk about the business plan & fundraising: how did you start this process? In our previous oil & gas lives we’d done a lot of business plans but the one we originally came up with here wasn’t great and we didn’t want to put it forward to potential investors. To enable us to get to the next stage – of making 50,000 litres a month- we needed external money. So the first we did was go to Johnston Carmichael and got the guys in Aberdeen to pull together the business plan to send out to a potential suitor which worked really well. We’re now further down the line and should have it completed by the end of summer; it’s been a really quick process that’s been handled very well by Johnston Carmichael. How did you first meet Johnston Carmichael and why did you chose the firm as your advisers? I first met Johnston Carmichael when I was invited to an event in Aberdeen to learn about tax issues when setting up a brewery. There was a talk by Adam Hardie, the Head of Food & Drink and I just thought that the depth of knowledge and the breadth of experience was just what we were looking for. At that time we were using a one man band to help us with our financial affairs but it wasn’t long term solution, so the fit with JC just seemed right. The great thing about JC is that they’re really immersed in the food & drink industry and know a lot about craft beer, so as well as getting their help with the business plan and the acquisition, we’re now moving our Xero accounting, VAT returns, quarterly and year end reports; to all be handled by the JC team. What are your business objectives over the next few years? Well considering we’ve only been going for 13 months it’s hard to look at three years! However we’re hoping that with this new investment we can manage here for at least another 18 months and then it’ll be a quantum leap after that. We’ll probably be looking at our own bespoke premises which would be a massive but exciting change. ‘The great thing about Johnston Carmichael is they’re immersed in the food & drink industry; their depth of knowledge and breadth of experience was just what Fierce Beer was looking for’. Do you have advice for other aspiring brewers out there? Market research is key; make sure you’ve clearly identified your route to market, spend a lot of time with distributors and bottle shops, find out who buys and who the decision makers are and speak to them about what you’re planning. And don’t just make bland things and hope they’ll sell because there’s lots of guys out there are already doing that, and doing it well. But ultimately if it’s something that’s always been a dream and people seem to like what you’re doing then go for it. Even if you find it hard or if it doesn’t go too well, you’ll always regret not giving it a shot. And finally, what’s the best part of your job? My favourite part of my job is speaking to customers and going to events and getting that face to face time. Brewing is fantastic; tasting something that you’ve made and really enjoy is so satisfying, but it pales in comparison to when someone tries your beer and you see their face light up when they like it. It makes it all worthwhile. Scotland Food and Drink has launched a new initiative to more than double turnover in in the sector by 2030.